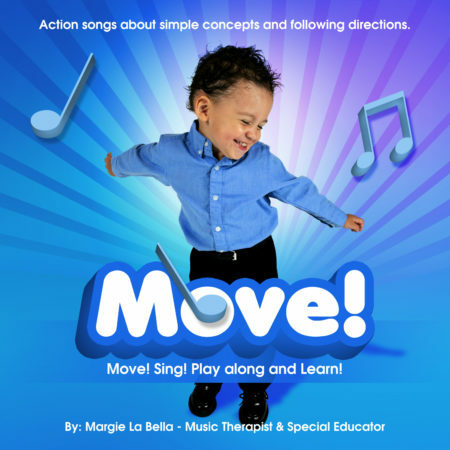 MOVE: Music therapist and special educator Margie La Bella’s “Move” focuses on the receptive language skills needed to understand and follow directions. Each song fosters concept development through active movement and dance. 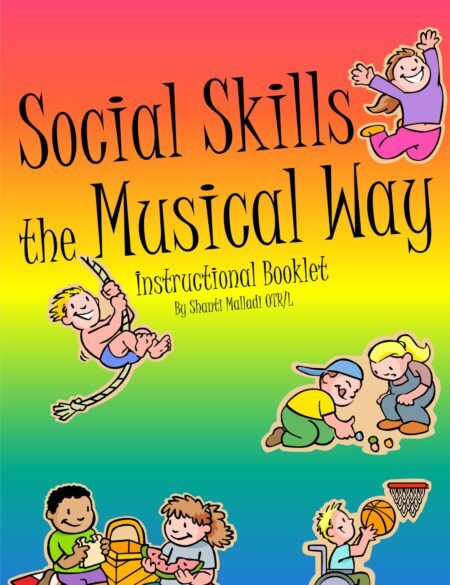 Appropriate for early childhood, music, and special educators, parents, and therapists. 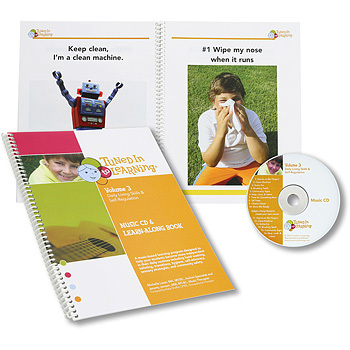 Skills addresses include: single and multi-step directions, body parts, opposites, verbs, prepositions, creative problem solving and more. Not only will the infectious rhythms, romping accompaniments, and Margie’s inviting, energetic vocal style entice children and adults into moving and playing together, but the lyrics will weave a thread of learning and concept development throughout each composition. The Move! 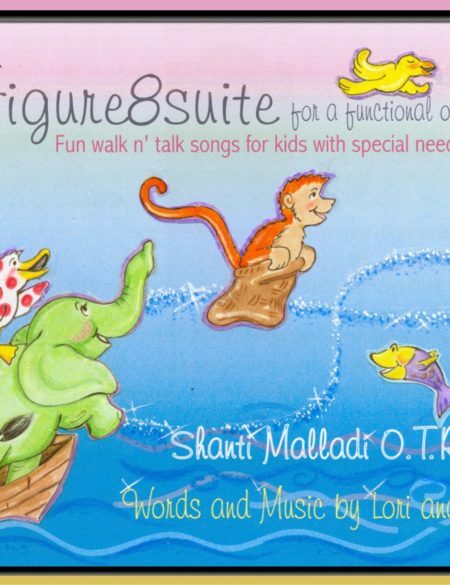 original collection of participation-based songs and dances designed to spark the imagination, playfulness, and language learning (expressive, receptive, and auditory/listening) of children. 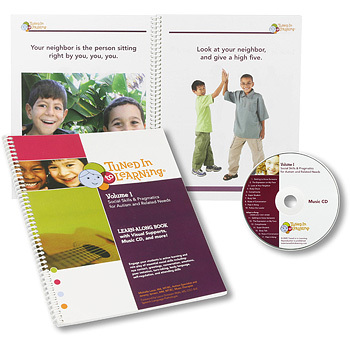 It is available to parents, grandparents, teachers, special education centers, therapists, music/dance/gym instructors and all those who are young at heart. To purchase the download of Move! by Margie LaBella for $14.99 click on the ADD TO CART button. Following payment you will receive an email with a link to download the CD.